Dreamforce is always packed to the brim with things to do and this year is no exception. Here’s where our Salesforce developer evangelists will be speaking and hanging out! They’re hoping to meet ALL of you! What do Developer Evangelists do at Salesforce? Developer Evangelists are product experts whose mission is to help you best extend the Salesforce platform to build the best customer apps. 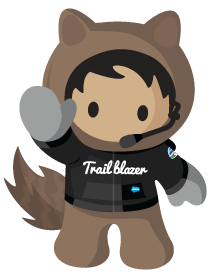 They’re leading a bunch of fun and informative sessions, running around the Trailhead Zone in Moscone West, and all over the Developer Keynote to help you figure out how to use the latest and greatest from Salesforce! Here’s just some of what we’ve got in store at Dreamforce for you this year. Be sure to bookmark these sessions now and add them to your schedule in Agenda Builder (Download it now in iOS or Android)! Be An Efficient Salesforce Developer with VS Code: With VS Code becoming the new standard IDE for Salesforce developers, maybe you’ve been meaning to find time to ramp up. Well, the time is now! René Winkelmeyer and Zayne Turner will show you (read: minimal-to-no-slides!) several techniques and tips you can easily add into your day-to-day development. And the topic is so hot that we already scheduled a repeat! Advanced Lightning Components: Christophe Coenraets will show you how to get your Lightning components to the next level in this session. Learn how to reuse code between components, use popular third-party libraries, cache data efficiently, and other things you didn’t know you could do with Lightning components. MuleSoft Anypoint Platform for Salesforce Developers and Administrators: Join René Winkelmeyer where he’ll show you live how to integrate third-party systems with Salesforce (and vice versa) using the MuleSoft Anypoint Platform. Whether you identify as an admin, developer, or both, this session is for everyone who wants to skill up their integration game. Can’t make it on this day and time? No problem, he’ll give it twice. Behind the Rocks: The Making of Robotics Ridge: Heather Dykstra has been working on a super-secret project called Robotics Ridge with the amazing Reid Carlberg and Philippe Ozil. Join Heather to learn how the three of them brought five robots to life. She’ll cover everything from org administration to controlling robots. You won’t want to miss this session! Testing in a Box Workshop: You’ve read his Month of Testing blog series, now you can write tests with Kevin Poorman himself! This hands-on workshop will give you more background on testing including creating test data and how to use mocks, while giving you the opportunity to put the knowledge to work. Automation with Quip Live Apps and Google Sheets: Anny He will cover how to create and manage data in Quip Live Apps as well as exporting data from the rootRecord for storage in Google Sheets. Apply the Salesforce CLI to Everyday Problems: For the past two years Peter Chittum has been reaching out to those who might avoid using command line tools to show them that they aren’t that scary. In this talk, he’ll take things one step further and go through some concrete examples and demos of how the Salesforce CLI can be an everyday utility for developers and admins alike. If you were inspired by If You Can Write a Salesforce Formula, You Can Use a Command Line, then this talk will help you get down to business and become a Salesforce command line ace. Modern App Dev: Modular Development Strategies: Have you read the Modular Development and Unlocked Packages series by Zayne Turner and René Winkelmeyer? Join them in this session, where they’ll walk you through models for app delivery with the latest developer tools, and what you’ll need to do if you want to begin dissecting your org to adopt modular development. Modern Architectures: ALM Best Practices for Citizen Development: Join Zayne Turner, along with product management director Karen Fidelak and governance experts Anna Rodriguez and Andrew Smith, to find out how to empower everyone in your business to be app builders and keep your app delivery solid. You’ll learn best practices for architecting environments, governance processes, and policies. Advanced Apex Testing: In this deep dive session, Kevin Poorman will talk about advanced testing topics including mocking, stubbing, avoiding the database and writing custom assertions. Putting the You Into IoT: Josh Birk will be giving an introduction to IoT that anyone can follow along with. Join him to hear a story about how his nephew figured out IoT and what you can do to get started today. Developer Keynote: One of our big highlights for developers at Dreamforce every year is the Developer Keynote. This year you’ll hear from Christophe Coenraets and Zayne Turner from the evangelism team as well as principal mobile architect Qingqing Liu and Heroku SVP Product and GM Margaret Francis. René Winkelmeyer will also be in attendance to drive the demo! Learn all about the future of Salesforce app development and how to build apps faster, integrate apps easily, and make apps smarter. Keep a slot in Agenda Builder open for Day 3 (Thursday, September 27) at 1PM to 2PM. Admin Keynote: Kevin Poorman will be assistant demo driver for the Admin Keynote. You’ll hear about the new features of the Salesforce Platform for Admins and see some fun demos! Admin Keynote will take place on the first day of Dreamforce (Tuesday, September 25) at 11:00AM to 12:00PM. Developer Game Night: Join Josh Birk and other developer evangelists in the Canyon Theater as we close out the first night of Dreamforce in style. There will be lots of fun interactive games to keep you energized and your mind sharp! Kids Coding Camp: Josh Birk will be empowering the next generation of developers with demos and instruction at the Kids Coding Camp. Robotics Ridge: Five robots and the Salesforce Platform are aiming to change the world as part of the Fourth Industrial Revolution. Come hang out with Heather Dykstra and Reid Carlberg to learn more and see the robots in person! For those who can’t be at Dreamforce this year, we’ll keep you updated on the Salesforce Developers Twitter and Facebook pages on events that will be livestreamed. Stay tuned! To get updates straight from our evangelists, follow them all on Twitter. We’ll see you at Dreamforce 2018!